The name Baguio conjures, for both the international and domestic traveler, a highland retreat in the Grand Cordillera in Northern Luzon, with pine trees, crisp cold breezes and low verdant knolls and hillocks. It has made its mark as a premiere tourist destination in the Northern part of the Philippines with its cool climate, foggy hills, panoramic views and lovely flowers. Being the ideal convergence zone of neighboring highland places, Baguio is the melting pot of different peoples and cultures and has boosted its ability to provide a center for education for its neighbors. Its rich culture and countless resources have lured numerous investments and business opportunities to the city. Take a break and plan your family getaway up to north and explore the charms of the country's Summer Capital for only P1688 minimum of 6 persons! 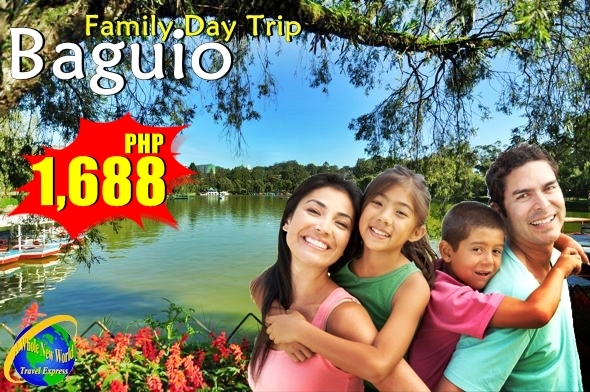 Go and explore Baguio with your friends and enjoy shopping, dining and strolling for only P999 minimum of 12 persons! 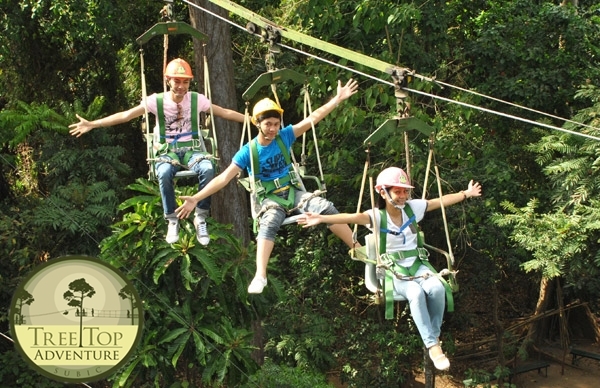 Get high on Nature at Treetop Adventure! Enjoy the exhilarating view from 100ft above the ground! With jungle trails, suspension bridges, an more! 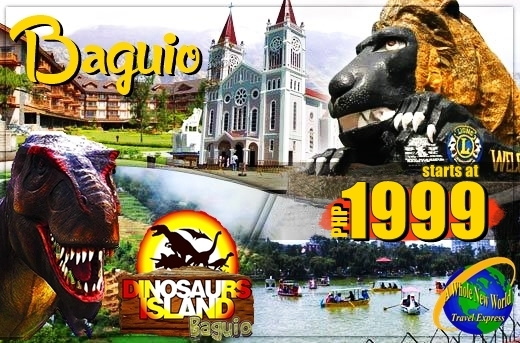 Discover Baguio City's new attraction, BAGUIO Eco-Park, also known as "The Land Before Time". Go back in time and see how Dinosaurs come back to life again. Experience the captivating recreation of ancient biblical time. Plus enjoy sightseeing tour around Baguio City. Enjoy the Colorful Flower Festival of Baguio City this February 2016 and be inspired with its wonderful floats, street dancing by dancers clan in flower inspired costumes!